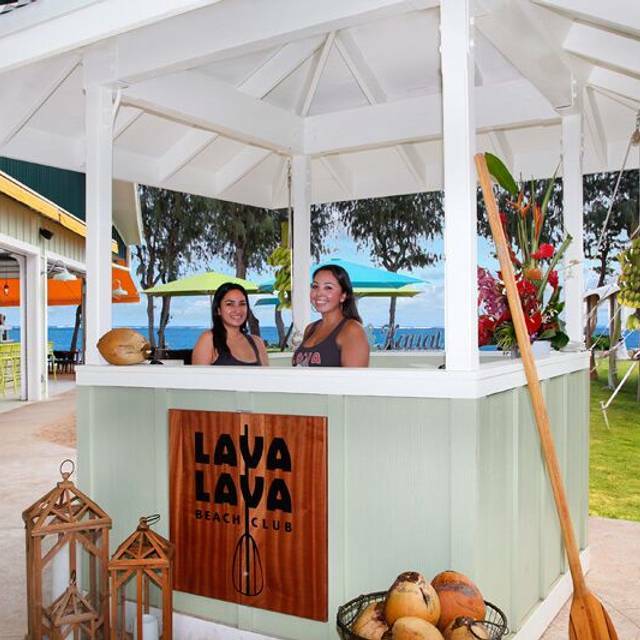 You must make reservations at least 5 minutes in advance of the time at Lava Lava Beach Club - Kauai. Free Valet parking when dining with us! 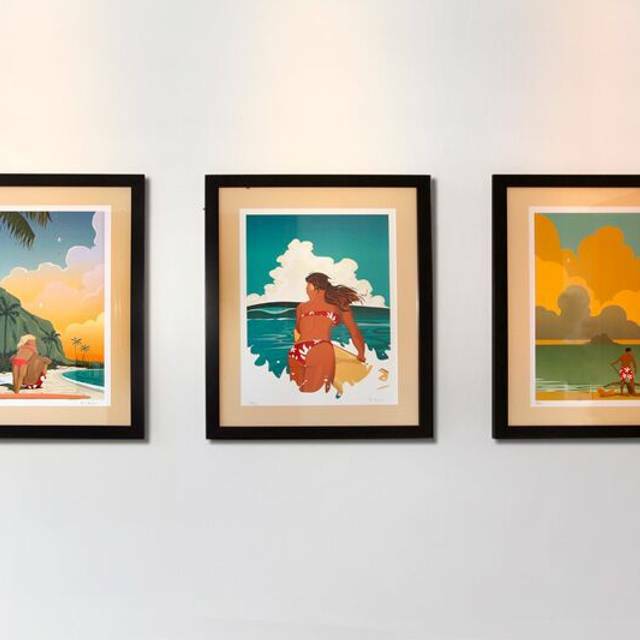 Whether you are exploring the beauty of Kauai or beaches of the Big Island, Lava Lava Beach Club is the place for island inspired cuisine, creative cocktails and “toes in the sand” ambiance. 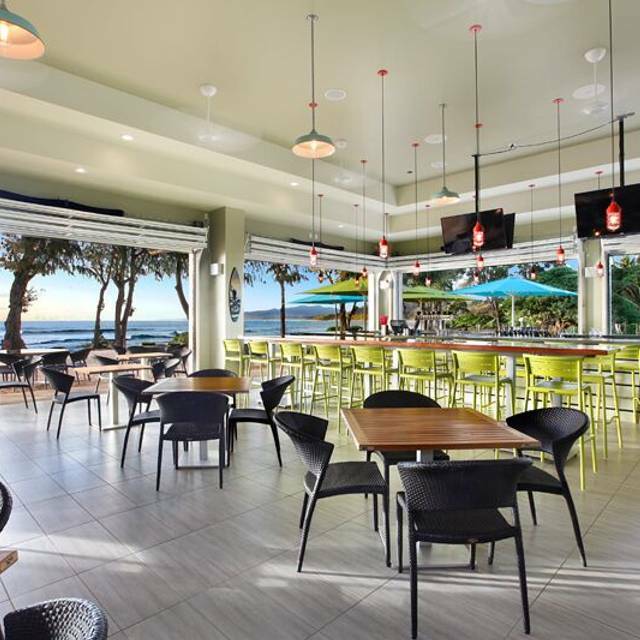 Whether you are exploring the beauty of Kauai or beaches of the Big Island, Lava Lava Beach Club is the place for island inspired cuisine, creative cocktails and “toes in the sand” ambiance. Desserts is stressed spelled backwards – don't skip it! Good food and gorgeous views. I dropped a few ambience points for allowing a gentleman at the next table to become overly intoxicated, rude and obnoxious. Great view, great service...bland food.all in all it was a 3/5. My drinks was my most favorite thing. Best bartender ever!!! Overall experience was great. This has been my favorite since the opening. I bring all my guests here when they visit. Can’t beat the atmosphere and ambience. Lovely ocean front dining - dry relaxed atmosphere a ate there for breakfast and dinner. All meals were great: would definitely go there again. Wonderful location. Fun and laid back! 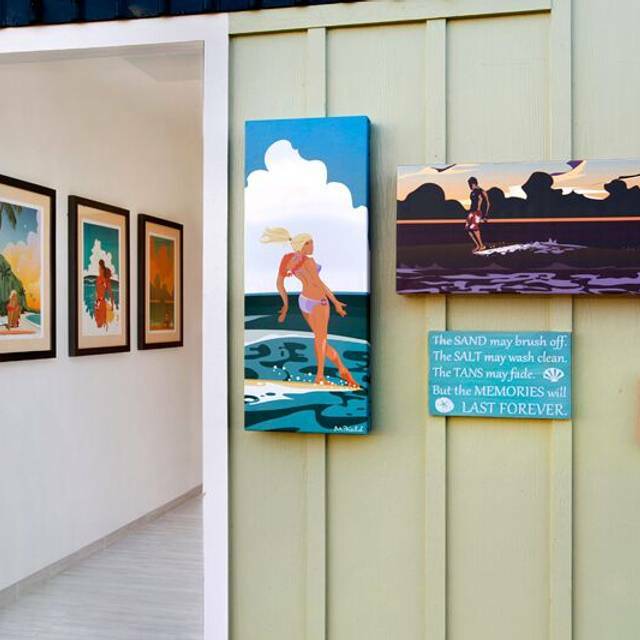 Definitely a must while visiting Kauai!! Amazing views. Amazing service. Amazing food. Food was average - dry and lacked flavour. Great ambiance - table was on the beach - our toes were in the sand. I have been to Lava Lava Beach Club several times in the past few years. I keep returning because I enjoy the variety and flavor of the food. This past visit was for my friend's birthday dinner - she had never been to LLBC before. I wanted it to be really nice for her, so I requested and received a table on the sand. It was perfect except for the fact that the lighting was so dim we had to use our cell phone flashlights in order to read the menu! I appreciate the restaurant's ambiance, but that's a bit much. The food, as usual, was good. My friend really enjoyed her steak and rice plate but we both thought it was odd that only pineapple fried rice or jasmine rice were offered - no plain white rice, which is a staple in HI. Some sesame seeds were sprinkled over the top of the teriyaki steak, which is unfortunate considering my friend is allergic to sesame. The menu should definitely list ALL of the ingredients in a dish! My friend was able to locate and pick off all of the seeds, but it wasn't easy considering the low light. My pineapple fried rice was good but needed seasoning. The Spinugula salad was delicious! We shared a Sleeping Giant ice cream pie and it was very, very good. We each had a soft drink (no alcohol), so I was kind of shocked that the bill was $83! I mean, I had a side of pineapple fried rice...not even an entree! But OK, I knew what the prices were when I ordered so that's on me. Our server, however, was awful. Very inattentive and no personality at all. It was almost as if serving our table was too much trouble for her. It took her at least 15 minutes to even greet us; by then a busboy had already taken our beverage order. Lastly, it was a bit loud. Not so much that one couldn't hold a conversation, but the music was...odd. 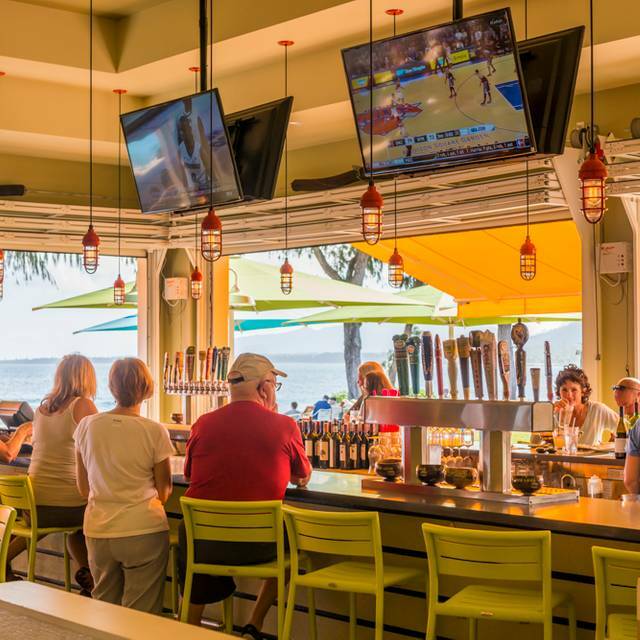 I grew up in the 80s, so hearing Michael Jackson or Cyndi Lauper isn't a problem so much as that this is a restaurant on the beach in Hawai'i. I'd have expected some classic or even contemporary Hawaiian music, not 80s pop. Beautiful setting, great food and prices for the Island. Charlie our waiter was great. My wife doesn’t eat gluten and asked about whether the açaí bowl had gluten in the granola. The server said she didn’t know...okay typically you find out, but we move on and my wife asks if they have gluten free toast. She tells us they have rolls, but only at lunch. Okay that doesn’t help us. At the end of the meal I try to use my $10 Opentable credit. Of course she says they don’t accept it. I ask for a manager and imagine that he figures it out. Really disappointed in my experience and sorry I wasted my Opentable credit here. The ambience need improvement, very basic. I would like a more wider selection of local food and protein. The location of the music/singer/dancer need to be focused where all guess have a view. It’s alright for a quick snack and they have a good happy hour but the service is pretty terrible. I went 3 times within a week plus 1 time where I left after waiting too long to be seated or even acknowledged. It took a long time to get service, place order and get drinks but the food comes out very quickly. Not very kid friendly for menu items and they won’t make as much as a salad during happy hour. Convenient if you’re staying at the Kauai Shores but I wouldn’t go out of my way to visit again. What a great night with a great staff and wonderful food! The food is so overpriced and not good at all. Such a bummer experience. My husband called it "cafeteria food" at best. It is in a GREAT location, which is the only reason to go. But, I'd recommend a picnic on the beach over this overpriced meal. We been to Lava Lava before and had a great time, which is why I don't understand why this time was so horrible. Our server ignored just us, she was very friendly and nice to our next door tables but we didn't even get the specials. We made the reservation for 7:45, we were out of there by 8:20. We didn't even get a second drink. I am very disappointed, because we were celebrating a birthday and I just had really high expectations for this place. Nice restaurant on the beach. Enjoyed the poke nachos but didnt love the flatbread we ordered. All in all, a good pick for an easy dinner outdoors. Food was average and expensive. An overcooked $18 burger was not what I was looking forward to. I would only go back because the beachside location is wonderful. Service was perfunctory. Asked the bartender for change and he didn't even make eye contact with me. The other bartender was equally "friendly". Give it a try but keep the bar low for food quality. Service was slow, food was fine, but good atmosphere. Likely better for drinks and appetizers than a nice dinner out. We have been on other occasions but the food wasn't as good as before. Not sure what was different but food was just ok. The service was excellent. We dined here with our two children (ages 2 and 6). It was a perfect spot right on the beach since if they got antsy we could stroll along the beach and climb trees. The scenery, food, service and live music were all great. Would come here again if given the opportunity. Service trumped everything else—SO SLOW—had to cancel a 2nd drink order. Food was just ok—wouldn’t recommend. enjoyed it so much, we booked dinner again the following evening. Came here for our last dinner before heading to airport. Loved the atmosphere, just wished I asked for a table in row across from water, our view was a bit obstructed. Food was really nice, good selection. Live background music was a nice touch. Appreciate the attentiveness to my food allergy request. 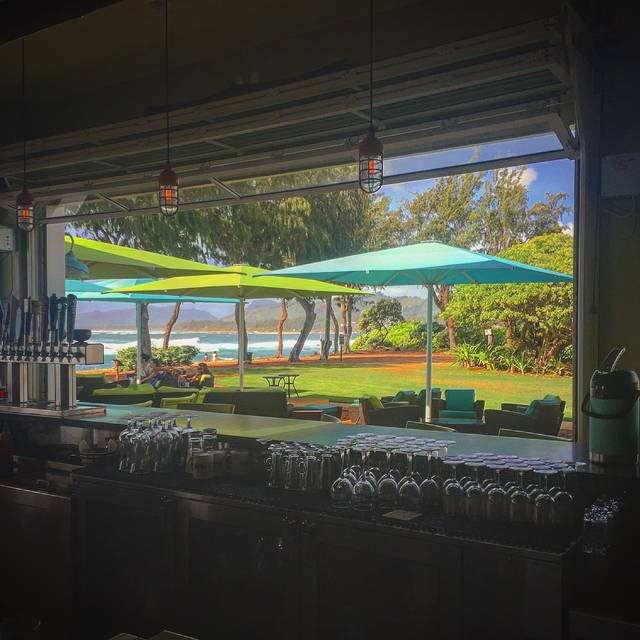 We stayed at the Kauai Shores hotel, so we frequented Lava Lava Beach Club a lot, mostly for breakfast. The food was always great. The view is perfect. I don't see how you could have a bad day with that view. At dinner time they would have live music that was always good. Definitely would recommend. We had an 8 PM reservation. When we got there the dining room was quite loud and busy. Luckily, we were seated outside under a retractable awning where it was much quieter. The service was good. The seared ono/wahoo fish was firm and good, but not very flavorful. I probably should have gotten it prepared differently. The coconut shrimp were delicious. The food is over priced even for Hawaii (Kapaa). Happy hour drinks were watered down. *Huggos on Big Island makes much better drinks for the prices. The food was average at best. The birds are too much to take. Pigeons were very aggressive. *People feeding them does not help this issue. Birds on tables is a health issue. The servers were terrific. Overall the view would bring us back, but you can get better value at other spots around the island. Great food, service and eating on the beach was awesome. We enjoyed watching the hula dancer while we ate. Food and location were fantastic!! Plan to go again! Has to be one of the most beautiful views in the world! Best part was just being on the water. Service was ok. Tourism trap. Go to the locals for great food. Oh, just wait 30 mins for breakfast next day. Poor senior couple just wanted a plate to share their meal. No one came back. The gentleman had to go fetch his own plate to have breakfast with his wife. Sorry you were short staffed. But boy, the empathy was lacking just on the the customer service. It is not worth the amount you pay to have your toes in the sand. 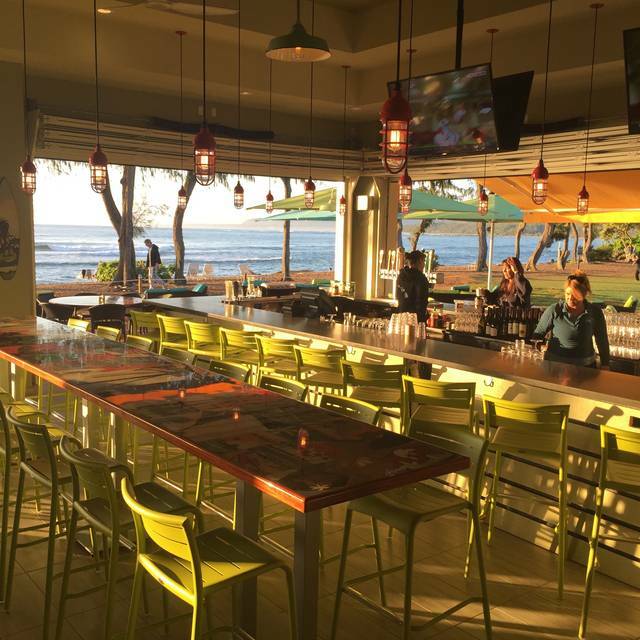 Save some money and buy a cheaper dinner and go watch the sunset in Poipu. 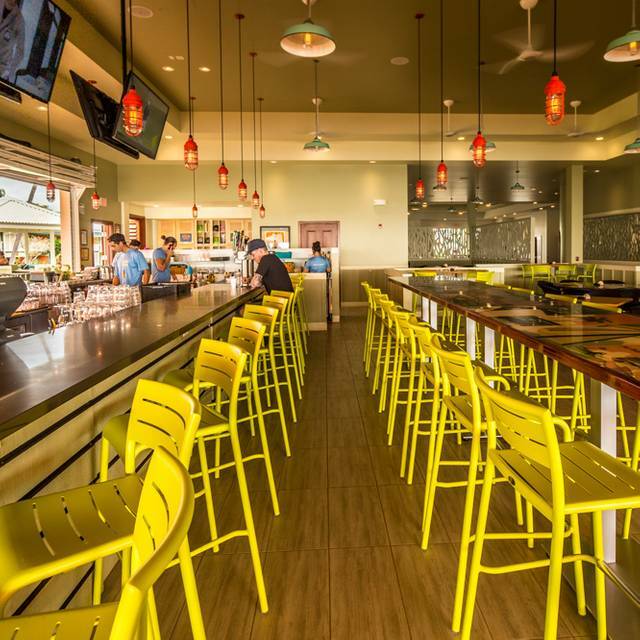 Lava Lava Beach Club is such a great place to hang out in the sand and enjoy dinner! It is quite loud, with the evening entertainment, but kept the vibe upbeat and fun! I wouldn’t recommend it for an intimate dinner but was great to relax on the beach and have some cocktails! It was great we came because we had gone to the other Lava Lava on the Big Island. We weren’t disappointed our server Tracy was excellent. Try the sizzling shrimp and poke nachos for appetizer. Excellent food and service. Right on the beach. The sun set as we enjoyed dinner. A perfect evening. It was our second visit within one week. Food, drinks and atmosphere were as good as expected (based on our first visit). But it took our waitress longer to come to us, bring water and take our orders, even though the crowd was a lot smaller than the first time. Also live music was not as lively as the first time. The food was very good and the cocktails were great. We will come back again hoping that service will maintain the high standards we experienced the first time. We spent our last night in Kauai at Lava Lava Beach Club and had a wonderful time. It is so nice to be sitting on the sand, listening to the waves roll in as the sun was setting. There were three of us with quite different tastes in food and we were able to order several dishes to share that were delicious. 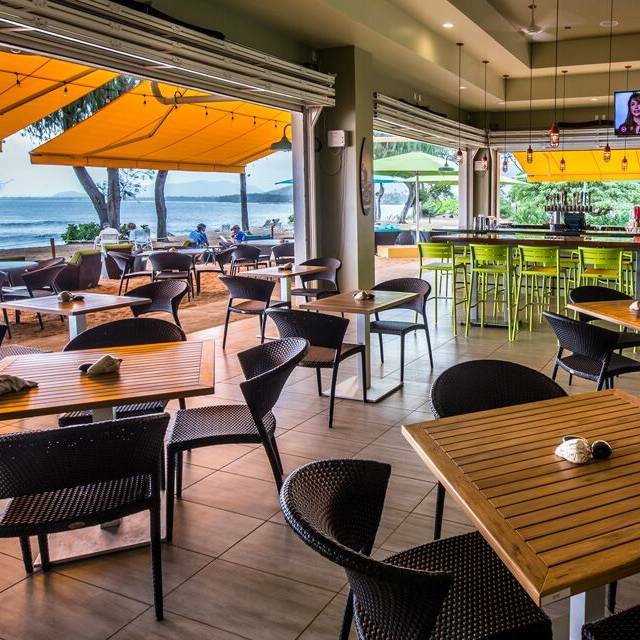 I have enjoyed the same restaurant on the Big Island and would highly recommend both of them.